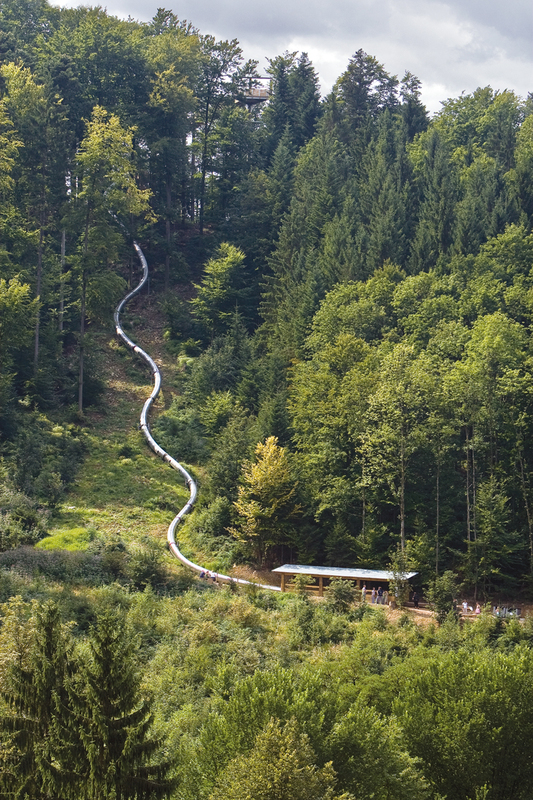 The 186-metre attraction – Europe longest Tubular Slide. 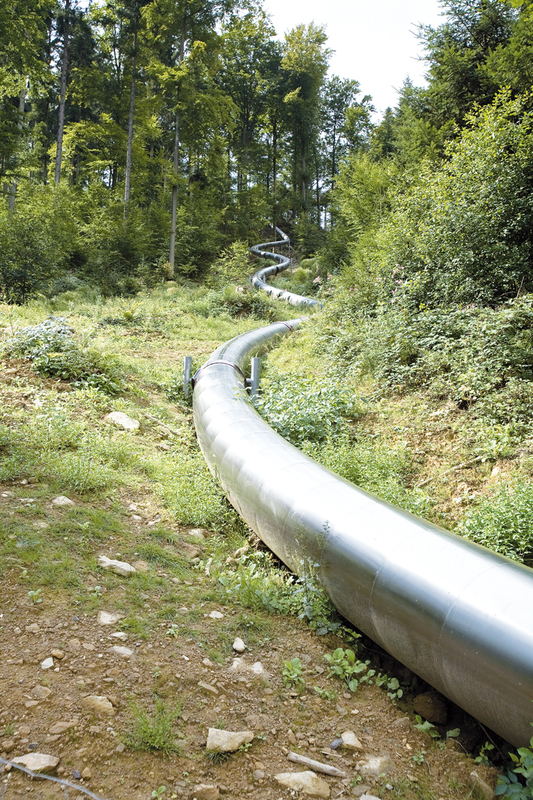 A more than 180-metre stainless steel slide has been guaranteeing some action since spring 2008. 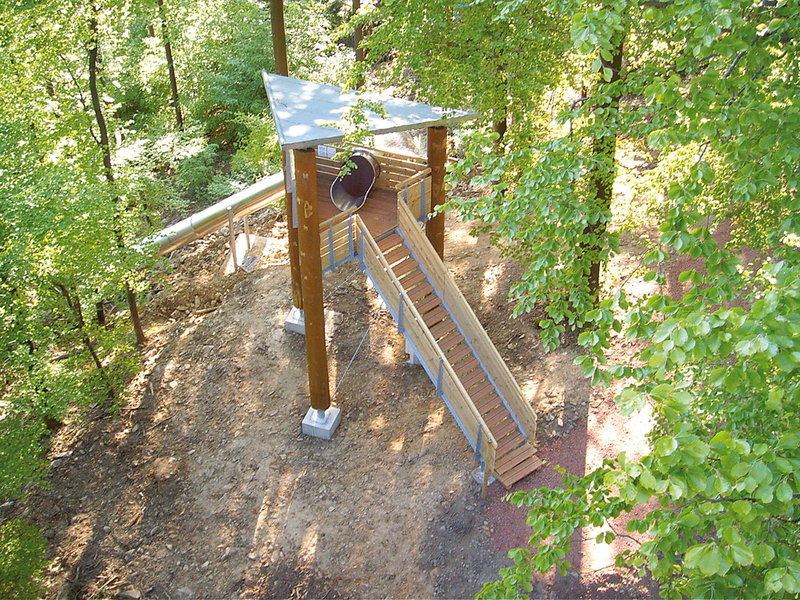 The huge atlantics Tubular Slide starts at the foot of the 22-metre high tree-top walk via a platform from the hilltop and following runs downhill with a gradient of 50 % in the direction of the starting point of the tree-top walk. 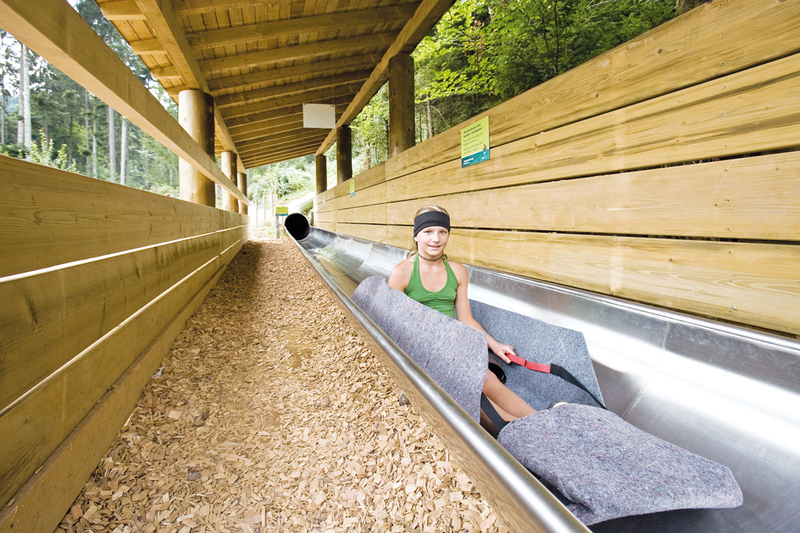 On their journey down which will take approximately 20 seconds, the visitors enjoying this unique slide adventure will reach a speed of more than 40 km/h.